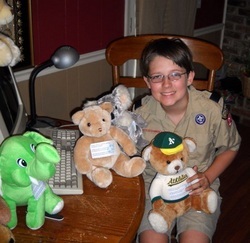 SHARE YOUR STORY: Are you a recipient of OPERATION TEDDY BEAR? Please fill out the form below and be sure to include a daytime telephone number. With your permission, your story and photograph (optional) may be used in an upcoming flyer and this website. Thanks! Please include a phone number where you can be reached. Thanks!